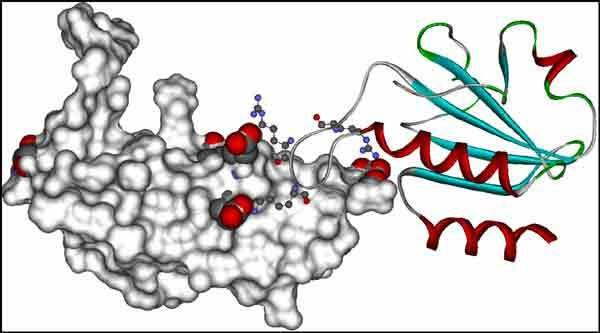 Peptide aptamers are small combinatorial proteins that are selected to bind to specific sites on their target molecules. Peptide aptamers consist of short, 5-20 amino acid residues long sequences, typically embedded as a loop within a stable protein scaffold. Various peptide aptamer scaffolds and in vitro and in vivo selection techniques are reviewed with emphasis on specific biomedical, bioimaging, and bioanalytical applications. Affibodies, Affilins, Anticalins, Armadillo repeat, Atrimers, Avimers, Cell display, Combinatorial libraries, Darpins, Directed evolution, DNA display, Fynomers, Knottins, Kunitz domain, Monobodies, mRNA display, OBodies, Phage display, Peptide aptamers, Protein scaffold, Ribosome display, Thioredoxin, Yeast two hybrid. Department of Chemistry, State University of New York at Albany, 14oo Washington Ave., Albany, NY, USA.